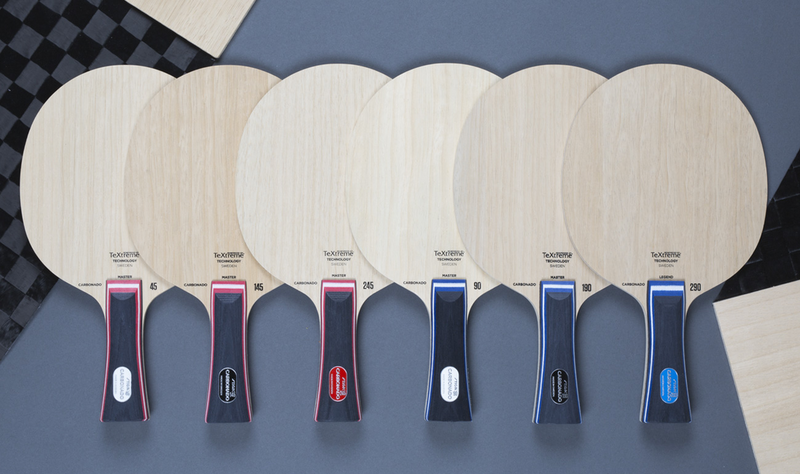 This article includes information about table tennis blades, including a comparison of shakehand vs. penhold style, handle styles, blade speed, blade weight, and characteristics. Shakehand and Penhold are the two basic blade types. If you hold the paddle like you are shaking hands, then you should choose a Shakehand blade. Over 90% of the blades we sell are Shakehand style. If you hold your paddle like you would hold a pen or chopsticks, then you should choose a Penhold blade. 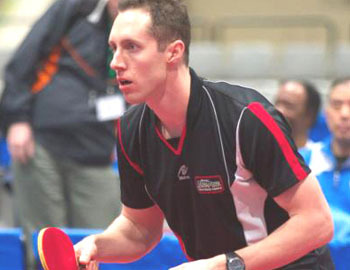 In table tennis, the term “Blade” refers to the wood part of the blade, not including the rubber. When you order a Blade from the Blades Department on our website, it does not include the rubber. If you order from the Combo Specials Department, the Pro Specials Department, or the Pre-Assembled Recreational Paddles Department, rubber is included with the blade. Handle style is a personal decision. The shape and size of the handle that feels best in your hand is what you should use. For shakehand players, flared handles are the most popular, followed by anatomic and straight. The code for flared is FL, straight is ST, anatomic is AN, and conic is CO. STIGA offers two sizes of flared handles, Flared-Large (aka Legend) and Flared-Small (aka Master). In our catalog, the codes for these are FL (lg) and FL (sm). The DONIC Dotec blades have a unique cork handle that is designed for either a left-hander or right-hander. The code is LEFT and RIGHT. NITTAKU offers a few blades with a unique ergonomic handle, ERGO, which is comfortable for using with both a shakehand or penhold grip. There are two styles of penhold blades: Chinese Style and Japanese Style. The Chinese Style is more popular. The Chinese Style normally has a rounded head, similar to a shakehand blade head but often a little smaller. The Chinese-style handle is smaller and shorter than a shakehand handle. The Japanese-style penhold blade has a handle with a protrusion on one or both sides around which the player wraps the index finger. The Japanese-style blade head is often more squarish in shape than the Chinese-style penhold, but it can vary from roundish to squarish, so check the image. All Chinese-style penhold blades (C) are suitable for putting either one or two rubbers on the blade. Some Japanese-style penhold blades are designed for applying just one rubber (J-1), and some are suitable for applying either one or two rubbers (J-2). The CLASS speed ratings of the blades range from the fastest rating of OFF+ to the slowest rating of DEF-. (OFF means offensive, ALL means allaround, and DEF means defensive). In general, offensive-style players prefer blades ranging from OFF+ to ALL+. Allround players prefer blades ranging from OFF- to ALL-. Defensive players prefer ALL to DEF- blades. Besides the CLASS ratings, Paddle Palace has a universal number rating system for speed and control so that blades from all the various brands can be compared on the same scale. In basic terms, the faster the speed rating, the farther the ball bounces off of the blade, given an equal amount of force. Keep in mind that generally the faster the blade, the more skill it takes to control it. Also, the rubber applied to the blade makes a huge difference in the speed and control of the paddle. Each player’s skill level, playing style, rubber used, as well as the interaction of those factors, have a large impact on the amount of speed and control that a player experiences. Therefore, the speed and control ratings are only a general tool for choosing a blade, as they are not an inherent quality of the blade. Most blades weigh between 70 and 100 grams before rubber is applied. An average weight is around 86 grams. Some players feel that a heavier blade provides more power but other players would disagree. Some players feel that a lighter blade is quicker, but again, there are varying opinions on this. Remember that power and quickness is not just a function of the blade; it mostly depends upon the skills of the player. Like handle style, the ideal weight of a blade for you is the weight that feels best. The weights listed are average weights for that blade, since individual blades will vary. The number of plies (wood layers) of a blade normally ranges from one to seven. Five-ply blades are the most common. Over 70% of players use an all-wood blade. There are many blades on the market that add thin plies of materials such as carbon, glass fibre, titanium or kevlar to an otherwise all-wood blade. These non-wood plies may add speed or a different feel to a blade. Some players feel that mixed-ply blades offer a larger sweet spot, and/or possibly result in added control. 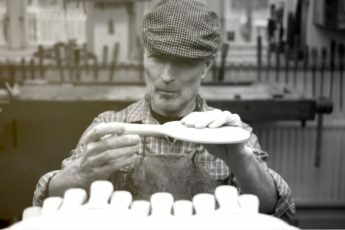 Whether or not a blade has non-wood plies, every blade has a unique feel, and only by experimenting will you discover what works best for your game. For each blade, we indicate the number and composition of the plies. These are: W=Wood, C=Carbon, G=Glass Fibre, X=Texalium, T=Titanium, U=Aluminum, K=Kevlar, S=Synthetic, A=Arylate, R=Aramid.